Each year, developments in Life Science industries offer new hope for those stricken with debilitating diseases, life-threatening illnesses, and genetic disorders. In the face healthcare reforms, shifting market demands, and increasing regulatory pressure, the need has never been greater to reduce costs, enhance transparency, and consider ways to improve organizational efficiency and innovation. NovaTech is proud to play an important role in the Life Sciences industry as we provide advanced Process Management products and solutions to some of the world’s leading Pharmaceutical and Bio-Pharmaceutical corporations. Companies like Merck, AbbVie, Patheon, BASF, and ADM rely on NovaTech solutions to help provide life enhancing products to patients worldwide. Participating in both Pharmaceutical and Biopharmaceutical industries, NovaTech products provide the digital infrastructure to reliably produce sterile bio/pharma products like vaccines and therapeutics, over-the-counter solid dose medications, topical ointments, and biologics. 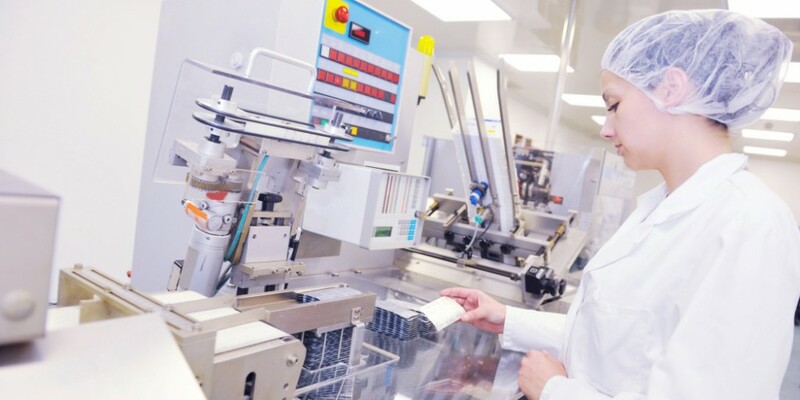 NovaTech process control solutions are used to produce countless high quality products for the health care industry–from powerful cancer fighting agents, vaccines, autoimmune disorder therapies, and antibiotics, to medicine designed specifically to manage and control mental health disorders. Comprehensive D/3 DCS and FlexBatch products provide for compliance with stringent FDA regulations such as 21 CFR Part 11. Created to ensure the accuracy, validity, and reliability of electronic records and electronic signatures, 21 CFR Part 11 of the Code of Federal Regulations requires many FDA-related industries to implement controls, audits, and documentation for software and systems involved in the processing of electronic data. Compliance with complicated industry standards can cause major headaches for businesses looking to implement plant automation into their processes. A solution utilizing FlexBatch, in conjunction with the D/3 DCS system, alleviates much of the stress associated with 21 CFR Part 11 and GAMP 5 compliance. NovaTech recently completed a project in France, for a major pharmaceutical manufacturer, that dealt directly with the issue of 21 CFR Part 11 and GAMP 5 compliance. In the planning stages of an upcoming new product release, the pharmaceutical manufacturer looked for a control system solution that could easily be configured to comply with the strict production standards of the FDA and the ISPE (International Society of Pharmaceutical Engineering). Offering a solution that combines the D/3 DCS with the batch processing capabilities of FlexBatch, the global pharmaceutical company’s new line of parenteral nutrition supplements met, and exceeded the benchmarks set for all necessary standards compliance. In a world where product integrity and traceability is paramount, NovaTech provides the solutions that allow our customers to out-pace the competition.